Every city has a name, and they also have a story. My hometown is no different. 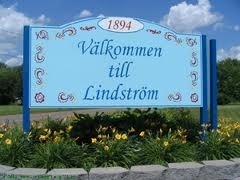 I grew up in the small town of Lindstrom, Minnesota. We are located thirty-five miles northeast of the twin cities. It is a quaint yet bustling area kept alive by highway 8, or the main vein as some call it here. The town has become modern while also being able to keep many of our historical monuments and buildings in tact, since they are so important to the history of how it was created. 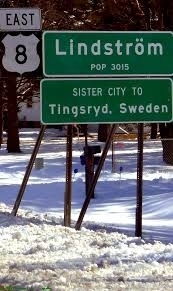 The town’s nickname is “Little Sweden” due to the Swedish immigrants who started the town in 1894. A man named Daniel Lindstrom founded the town with other members of his family and a few friends. One of those men was named Vilhelm Moberg, who created novels of the Swedish emigration to the United States. These novels depicted hardships and milestones of the new settlers and show what life was like moving so far from home. Karl Oskar and his wife, Kristina are central to the city’s celebrations. They are fictitious characters, representing the many immigrant families that settled in the “land of kichisaga” in the mid-19th century. They’d fled from a life of struggle in their homeland of Småland, Sweden to rebuild their lives in an unclaimed territory. 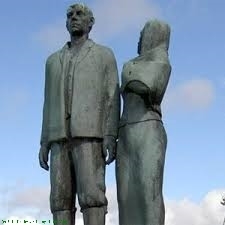 A statue of Karl and Kristina symbolize the Swedish peasants who migrated to America over one hundred years ago, settling in the Chisago Lakes area. We also host “Karl Oskar Days” every summer, which is festival celebrating the town and all we have become. There are Swedish meatball cook-offs, a parade, dances and many more activities for families to participate in. Everyone in the town looks forward to it due to the upbeat nature and of course the reminder of how we created such a beautiful place to grow. Everywhere you go you can find some aspect of the old country. Whether you visit the local bakery or the new Dairy Queen, there are pictures and mementos of those who lived here before us. (c) 2013 The Middle Ground Journal, Number 8, Spring, 2014. See Submission Guidelines page for the journal’s not-for-profit educational open-access policy. I feel that we spend so much time (at least I do) being in awe of what other cities, states, and countries are doing that we don’t take time to appreciate the unique history of our own home towns. I could walk into any gas station here in Duluth and find a postcard and I seriously doubt I would be jumping for hoy, but I can’t help but think that a few hundred years down the road someone will think that is a great find! I think in general people need to appreciate the every day things and the history around us now because it might not be around forever. I think it is amazing how much you know about your town history and how much it is celebrated. I also like that the town has a celebration celebrating old historic figures and how far the town has come. I think this is interesting because so many towns have celebrations yet many do not know the reason for them. I have never lived in a small town in my life and it took 18 years for me to discover one. It boggles my mind to know that at least “20” people can make up a town and if I read this article a year ago, Lindstrom’s population would blow me away. 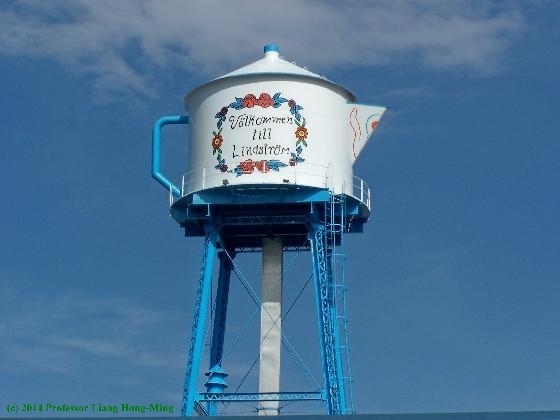 I have learned that there are a fair amount of small towns within the state of Minnesota that centers around a particular cultural identity and in Lindstrom’s case, the Swedish culture.